HAWKS NEST COMMUNITY HALL : U3A Writers Workshop with author Joanna Atherfold Finn. OUR local writers have been busy creating, learning and launching new works. 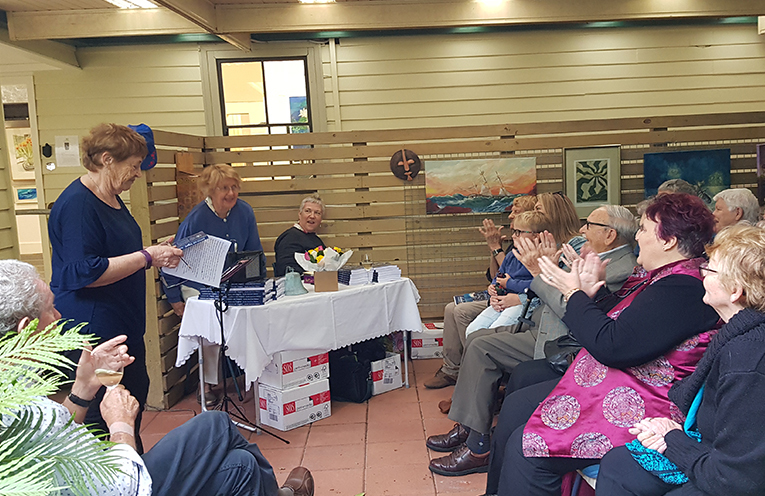 Eight women from North Arm Cove recently launched their collaborative novel ‘Matilda May Legacy’ at the Galleries in the Garden in Tea Gardens. And with that the champagne flowed. 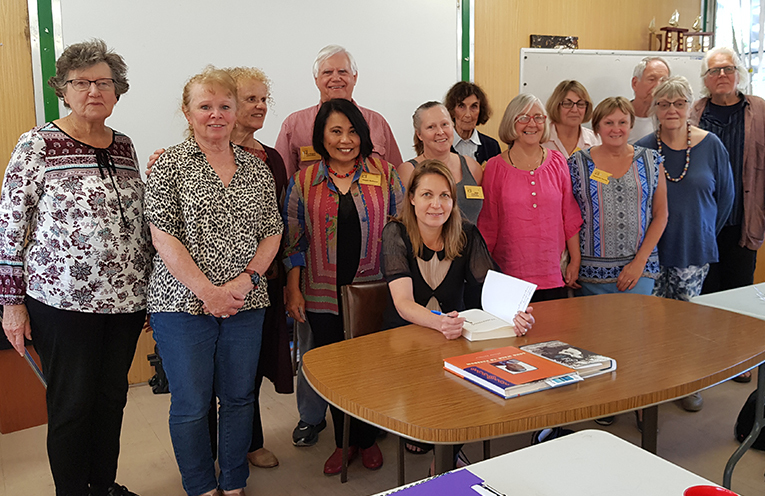 Across town in Hawks Nest, the U3A Writers’ Group have also been busy getting tips and guidance at a writing workshop with celebrated local author Joanna Atherfold Finn. Joanna’s book of short stories, ‘Watermark’ was recently released to rave reviews. “We’re doing ‘writing the self’, looking at both journal writing and an introduction to memoir writing at today’s workshop,” Joanna said. The workshop was organised by Maggie Buchanan, Ray Keipert and Lee Anderson. “It’s such fun and we get so much out of it,” Maggie Buchanan said. “I love hearing their stories as much as doing the workshops,” Joanna said. GALLERIES IN THE GARDENS: Launching ‘Matilda May Legacy’ Book.